“You remember that the Apostle Paul said, ‘This one thing i do.’ Paul was a man of one thing. 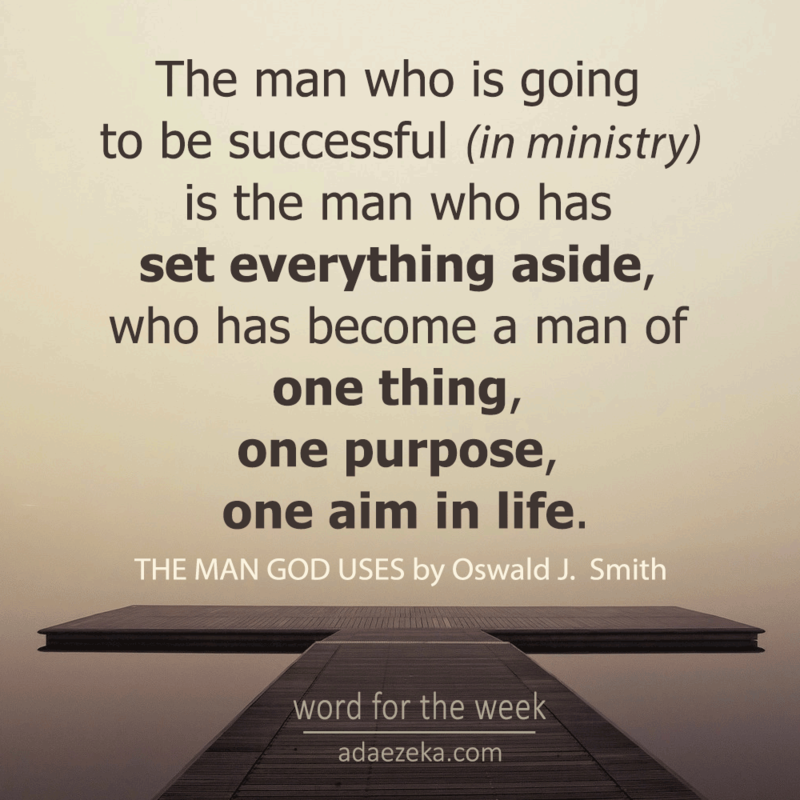 The man who is going to be successful (in ministry) is the man who has set everything aside, who has become a man of one thing, one purpose, one aim in life. Any man with divided interest, any man with many schemes, plans and programmes, any man who is interested in other things, is not going to be successful (in ministry). The one who is going to succeed is the one who has but one great purpose in life. 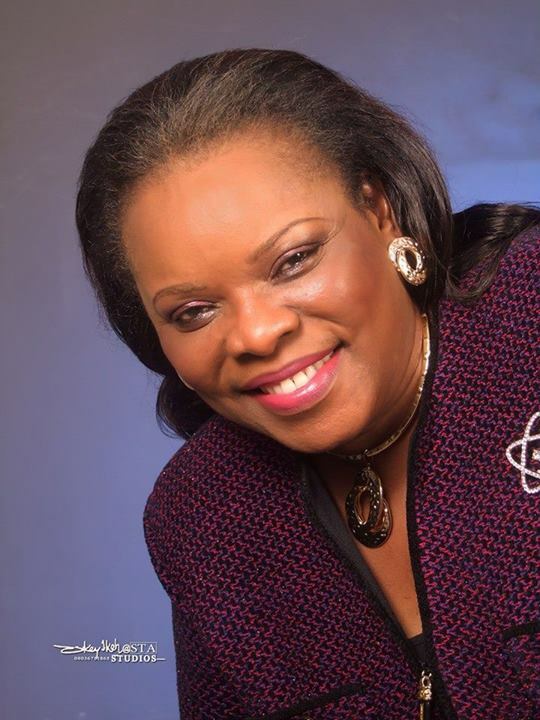 When I was a student, I never dreamed of getting married until I had graduated and had commenced my ministry. For a student to take upon him the responsibility of a wife and family, is a tremendous financial burden. If his interests are thus divided, how can he concentrate on his studies and expect to succeed in his work? Would it not be better to wait until he is through with his schooling before taking such a step? I never have been able to understand how some ministers can carry on their work as ministers and the same time go into business on the side. If God calls a man to preach the Gospel, he should live by the Gospel. There is no reason why he should make a little money on the side. If he turns to business he’s going to become interested in business. He will give thought to it and he will not be a man of one thing. Part of his time will be spent in the ministry and part in business. I have learnt that the ministry demands all that there is of a man. It requires his entire attention – all his thought, all his study, both day and night. He must be completely wrapped up in his vocation. He must be given over absolutely to the one great work to which God has called him…. Find FLWAE on social media! EASTER! He was the price... I am the prize! 😀😀😀 Alleluia! Do you know? There’s nowhere in the Bible where God said, “ Love the one you want to marry...” But he said, “Husbands, love your wife...” And in Titus 2:4-5, he wants us to teach the younger women to love their husbands ( not their boyfriends, not their fiancé)... I therefore believe that it is only in marriage that God permits love and intimacy between the male and female... So, young woman, it’s not love you need, it’s a husband you need...#When your husband finds you, love has found you... I say therefore, young man, young woman, relax, true love ( the one that keeps you married for life, no matter the storms)is waiting for you in marriage ... Yes!